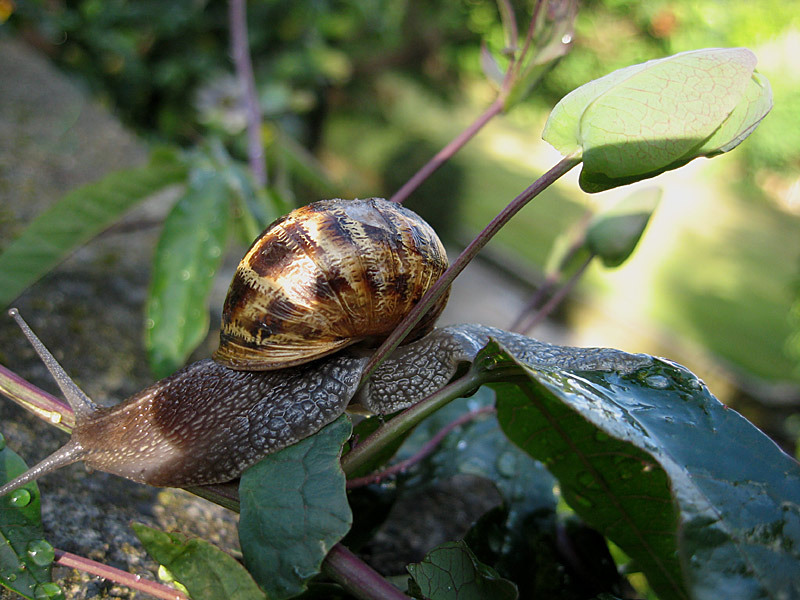 Snails and slugs can cause enormous damage. They seem to love the taste of some particular Passiflora. I had a small P. trisecta stripped overnight. Very young plants are simply best not put in beds and pots should also be checked at night for unwelcome visitors. Surrounding the base of the plants with sharp sand, gravel or egg shells will often put them off. More effective however is copper. They will not cross it if there is a wide enough band of it. Available with adhesive backing it can be put around the stem of plants or even round pots. I have some old copper labels and cut them into strips which I then curl round the base of the plants to produce a collar. This is better for tiny plants as a tight adhesive collar could cause problems.